Another of the three Spielberg movies I hadn’t seen before this writing. On paper, Always sounds very Spielbergian: The spirit of a deceased pilot reaches from beyond the grave to emotionally connect with his former lover. Insert a John Williams score and bam! You’ve got a Spielberg movie. In execution, however, I think Always feels foreign to the rest of the Spielberg universe. 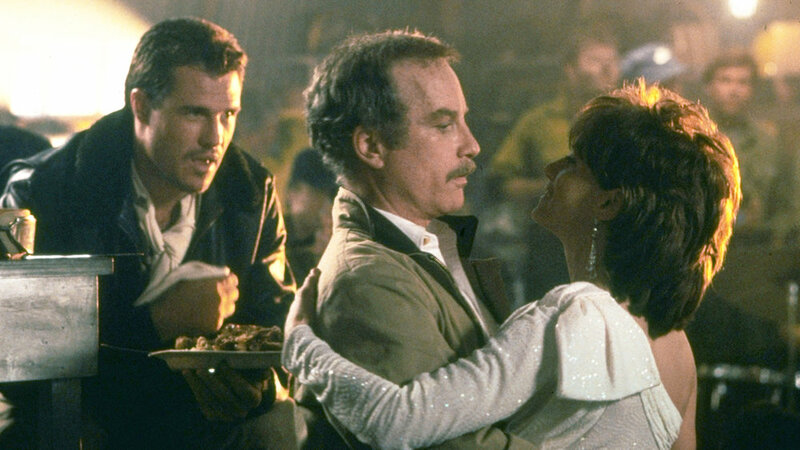 The spiritual force that allows Richard Dreyfuss’ character to connect with Holly Hunter’s character lacks some magic and there’s little charm to the movie as a whole. It doesn’t help that the medium through which the two leads interact, former Marlboro Man Brad Johnson, has all the screen presence of a ficus. Still, the scene settings are excellent, and Spielberg uses both Hunter and a young-ish John Goodman exquisitely.